Certified Home Services and Termidor H E are offering a 1 in 10 chance to win a $500 Visa card. By installing or renewing your Termite Barrier. At Certified home Services. (Certified Home Inspections). We can offer this to our Clients. So For any Termidor HE treatment done between 1 January and 30 April 2019. 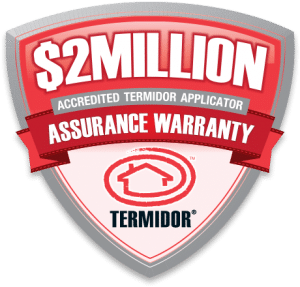 In fact you will be eligible for the Termidor 2 Million Dollar warranty . As well as the warranty you will be protected by the best termite protection available. Furthermore you will get the next generation of protection with Termidor H E.
Additionally We don’t just claim Termidor works. 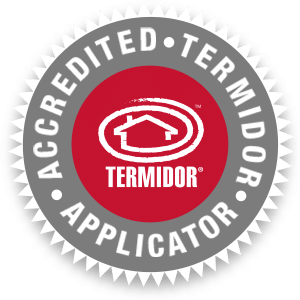 Also We back the most trusted brand in termite control with the Termidor Assurance Warranty. which covers your home for structural damage up to $2 million dollars. That reflects our very high level of confidence in Termidor. And ongoing commitment to our customers. Luckily, the risk of major damage can now be controlled. 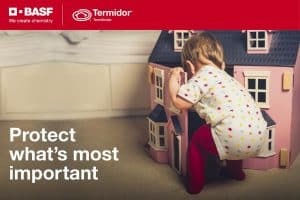 also Over the last 15 years, Termidor has kept many of thousands of Australian homes safe from termites without a single product failure. so now you can be confident of the best termite protection around. So Give Vicki or Lauren a call to book in your quote. Give them a call they are waiting to hear from you. So Call Now On 07 32008586. In addition to barriers Certified Home services offers. General Pest Control. For ants , Cockroaches , spiders and Silverfish. As well as Commercial Pest control Services.